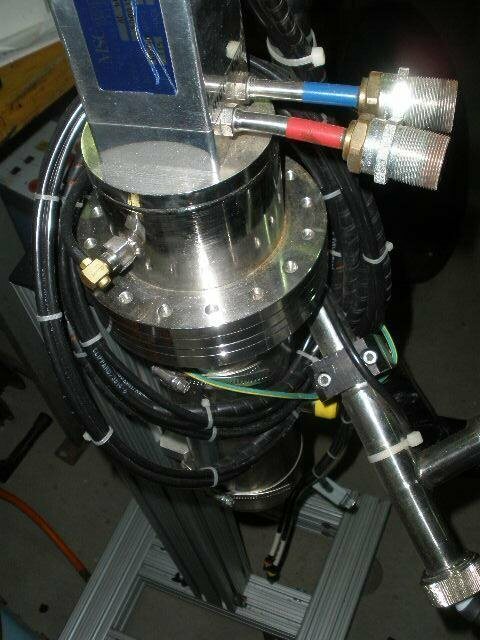 Cryogenics are used in microwave applications, in perhaps two situations. The first is when you want to use a high-temperature superconductor, you have to cool the superconductor substantially to achieve superconductivity. The second situation is in a "passive" receiver that starts with a mixer, before the first amplification stage. This is often the case, particularly in terahertz systems, at frequencies where LNAs are not available. It turns out if you cool down a Schottky diode mixer, the noise figure drops substantially. Cryo-cooling is often used to reduce noise temperature of sensitive receivers, such as those used in radio astronomy. When designing for extremely low temperatures, you need to worry about thermal expansion matching of materials. When cryo-cooling, you will be dealing with temperature excursions of hundreds of degrees °C! Cooling is accomplished in two ways. One is mechanical, a form of refrigerator, the other is using a dewar. Refrigerators are rated at what temperature they can reach, as well as how many watts they can remove at that temperature. 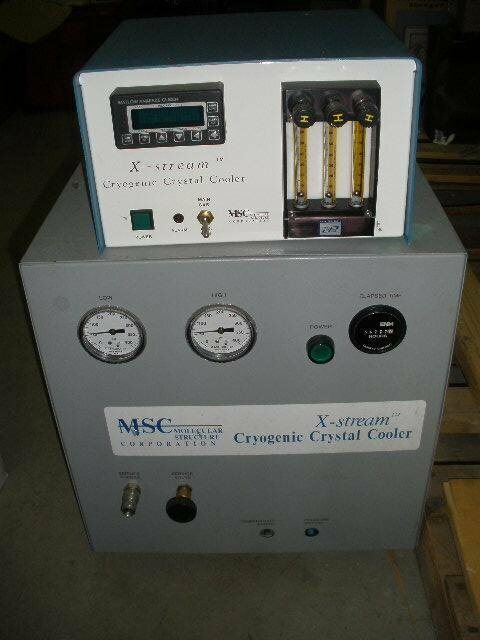 Here's a couple images of a cryo-cooler we found for sale on ebay. Starting bid, $2500, but untested! When using gases in a laboratory, you need to be careful not to gas your employees to death. Check out our safety page for horror stories including asphyxiation. An atmosphere with high nitrogen or argon (and low oxygen) will make you very sleepy, right before you die. If you are exposed to this at work, tell your boss to buy an oxygen depletion monitor, so you can keep an eye on what's going on! In contrast, if your work exposes you to CO2 gas, you may feel like you are having a panic attack when the percentage CO2 gets high. This is only a natural response to asphyxiation!